Sports outcomes have been shown to influence everything from reckless driving and heart attacks to domestic violence, but now new research has shown they may influence your eating habits, too. 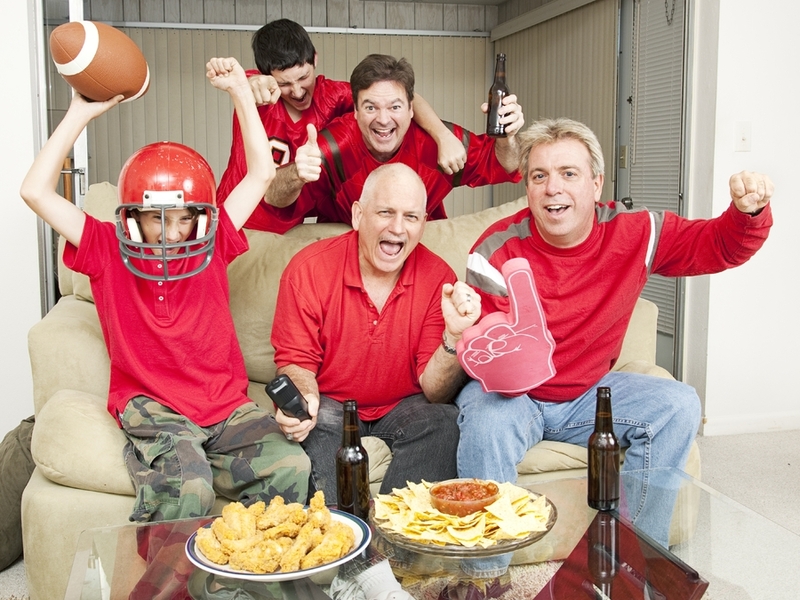 Psychological Science published a study showing that when a fan’s sports team lost, they ate 16 percent more saturated fat, as well as more sugar and more calories overall, than they normally do the day after game day. By contrast, sports fans of the winning team ate about 9 percent lesssaturated fat than normal. As you might suspect, the differences in eating habits were most pronounced in cities with the most committed sports fans and when the defeats were narrow. Even when sports fans simply wrote about a time their favorite team won or lost, eating habits were impacted. Those who wrote about their team losing were more likely to snack on chips and candy, while those who focused on their team winning chose healthier tomatoes and grapes. The researchers speculated that the unhealthy eating was used as a form of coping mechanism in the losing team’s fans, while sports fans of the winning sports team felt a boost in self-control, which was reflected by their more sensible food choices. If you’re a sports fan who knows you’re heavily impacted when your team loses, you can buffer the negative post-game eating effects by using self-affirmations. Such statements help you counteract negative emotions and beliefs, and can be as simple as writing down what’s most important to you, what you’re grateful for or what you like about yourself. This ‘completely eliminated the effects of defeats’ on fans’ eating habits, and you can certainly use self-affirmations to help buffer the after-effects of other disappointing events in your life as well.